Thanks, yes I was going to request 26 arm and body which is pretty much what I asked for with my size 42 some time ago, I will check the shoulders first though. After seeing Ton's New BL I'm now convinced I'm going to order another Highwayman in the same leather. Joxi, ProteinNerd and Dav like this. Has anyone dropped 2 sizes in a HWM and how did it workout? I have not done this in a jacket that I own, but I have tried one on. I helped purchase a Highwayman for a friend of mine who is quite a bit smaller than I am. I previously owned a Highwayman in size 44 and it was the typical boxy unflattering fit. The one that we got for my friend was a size 40 and I tried it on when it arrived just for fun, thinking it would be way too tight to even get my arms through the sleeves. To my surprise it fit quite well, a nice slim fit as one would want if ordering a Sheene or a cafe racer. The one area where the fit was not good though was the shoulders, it was definitely too tight through the shoulders for comfort or flexibility. I would pay special attention to this when talking to Aero, and make sure that you agree on a shoulder measurement that is similar to your other Aero jackets. Good luck! ton312, Boyo and Dav like this. torfjord, ton312, roadking04 and 8 others like this. I’ve heard rumors of a Legendary Black Stallion jacket. They almost never come up for sale and absolutely never in my size. But it’s a classic design, built by Schott in what I’ve been told is an exceptionally thick and beefy HH for Schott. If ever one comes up I will have it. There is a D-pocket version on eBay right now but probably too big for you. I flipped and flopped whether to go for this one or the D. In the end, I am a CHP type of dude. 19.5/20 shoulder and 23 P2P. Texting with owner. Many photos exchanged to make sure. The D is similarly large for a tagged 42 btw. That’s the one. Too big for me. These look surprisingly nice and I’ve heard they are for the price. Good find. I’ve heard that, plus I had some eBay gift cards from work to use lol. Hh121 and dannyk like this. All that talk of a "Highwayman". Is that style/ pattern specific? 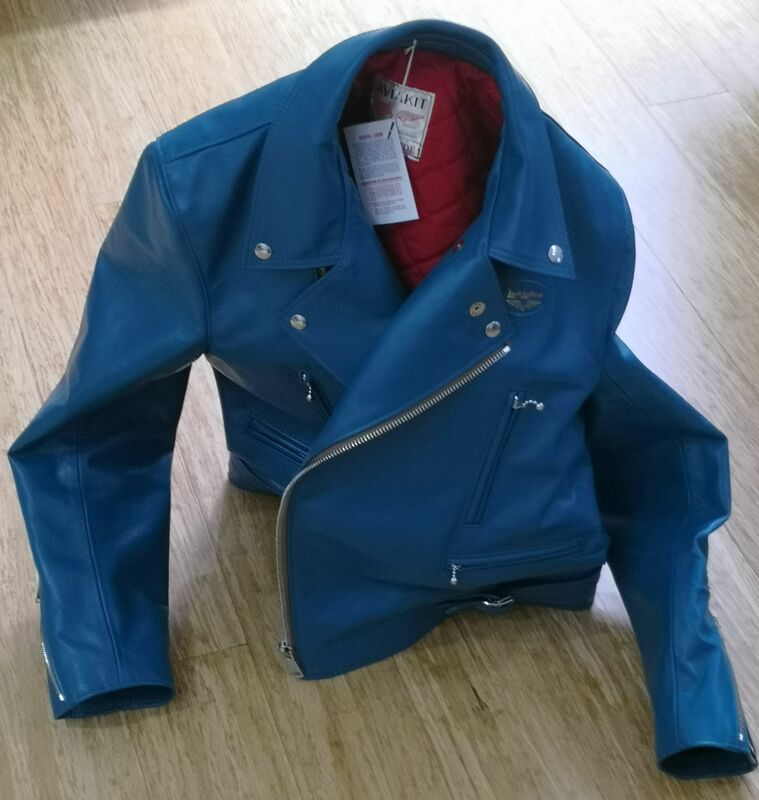 Or is that just a name that different companies use for different jackets and it really does not define a style or model - like saying "Biker Jacket"? Supposedly a Vanson Model E or Highwayman(?) is landing here today. roadking04, ton312 and AbbaDatDeHat like this. JMax, AbbaDatDeHat and dannyk like this. So the Vanson E showed up. Seemed very heavy and boxy at first. I have a Langlitz Cascade from the 1990s that is supposedly made with their heaviest weight leather at the time. That jacket seems heavy and thick but not stiff. 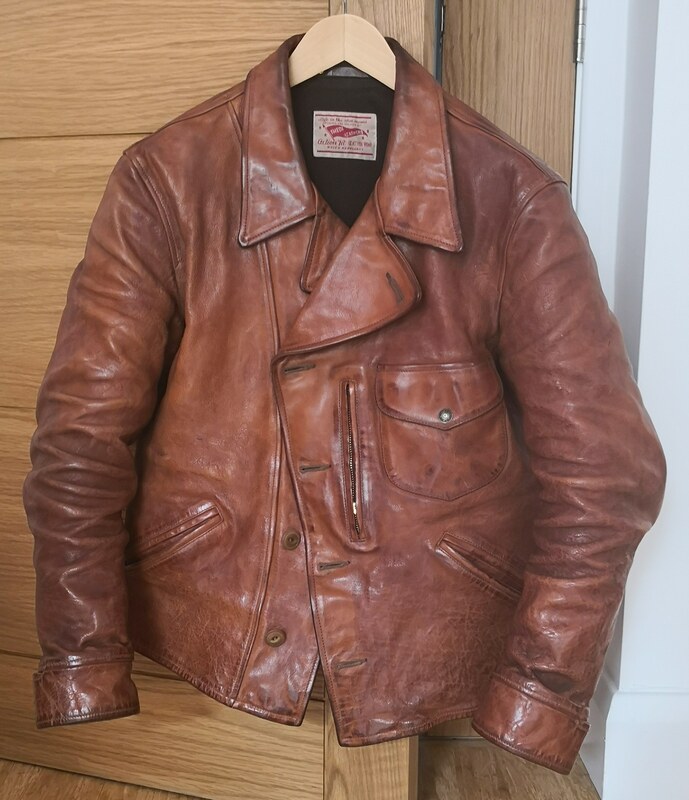 This jacket feels very stiff. I was told that it is almost new though. Bought new in November of 2018, so it's only a few months old and not at all broken in. I tightened up the side laces and that seemed to help and give it a more tailored fit. It is longer and wider than the Cascade and does not catch on my belt. It's a bigger jacket. I'll try to take some pix tomorrow in the daylight. I want to order a cordovan Grizzly with black fur, a throat latch and moleskin lining all around. I have no "need" for it, but that cordo sure does look nice. That would be the inverted version of your current grizzly right? Sounds really cool. Ha! Wondered who nabbed this. Great jacket! Can't remember what that one was, but I suspect it was the J24, even though I ordered it much later in the end. 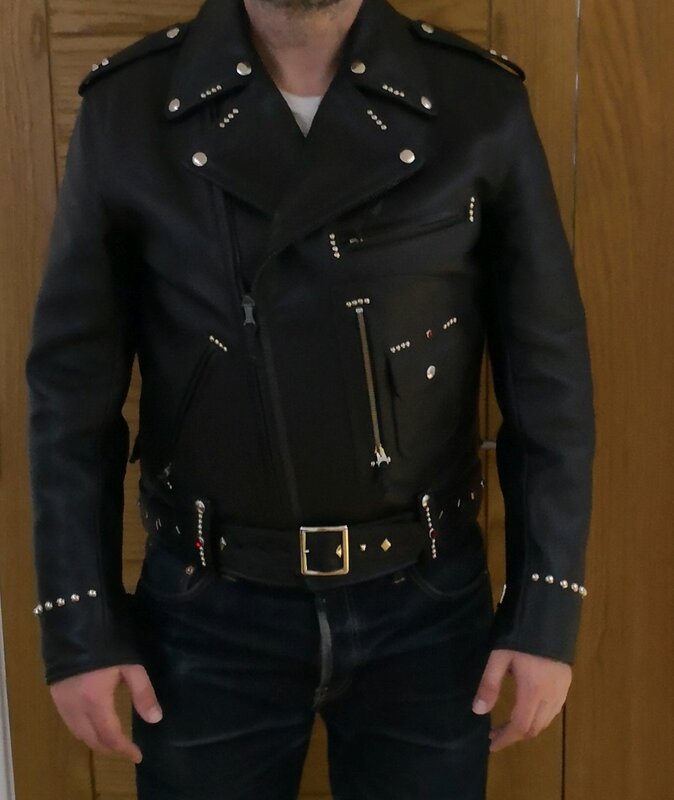 It was a jacket I was discussing with Johnson leather, I ended taking a lot of time, changing the designs and finally settled on the one that is upcoming! Did get it and even made it stand! It took 2 years, but I almost completed that list and got a few more jackets as well! Need to update the relevant thread but I did get a serious BKS riding suit as well. So what do I have in mind now? Would be curious to see the recaps of everyone here, where did you end up comparing to when you first posted in this thread, or since you joined? How did your tastes evolve? Did you get what you were drooling after? Did you end up wearing and/or liking styles you would have never suspected? Did you retire? Did you come back after a break? sweetfights, Jejupe, Fonzie and 6 others like this.